The first part of the exhibition presents the origin and background of ‘Organic Architecture’ as the initial manifestation of a ‘Living Architecture’. The end of the 19th century saw the decline of traditional styles and the rise of new industrial building techniques. This fired many architects to search for a new style, a style that would fit their own time. The concept of ‘Organic Architecture’ was born amid Art Nouveau and Functionalism. But instead of focusing on mechanisation or subjective aesthetics, the pioneers of Organic Architecture drew inspiration from principles derived from living nature. Each of these pioneers stressed different aspects, but seen in relation to one another their approaches constitute a coherent totality in which human needs, natural resources, artistic expression and technology are brought to a synthesis. 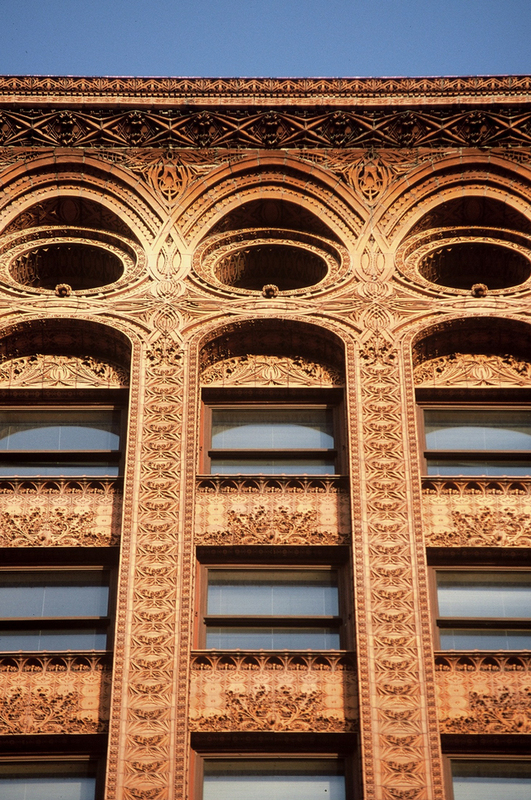 Louis H. Sullivan (1856-1924) was one of the first to introduce the concept of Organic Architecture. After closely studying nature, he concluded that form always follows function and made this principle the basis of his architectural designs. Moreover, he brought his geometrical building masses to life by means of a rich, organic ornamentation. Frank Lloyd Wright (1869-1959) broadened both the concept and the language of Organic Architecture in many directions. He expanded the concept to denote the relation between the building and its environment, the continuity of internal and external space and the use of building materials in accordance with their own nature. 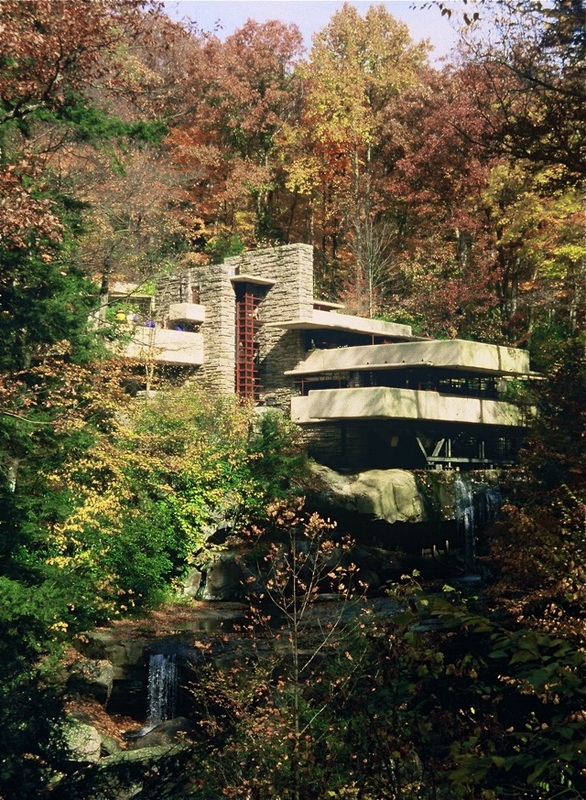 A striking example is the Kaufman Residence, better known as House Falling Water. Antoni Gaudí (1852-1926) was one of the first architects to express his architectural ideals in truly sculptural forms. These forms were often based on the forces at play in the building’s construction. 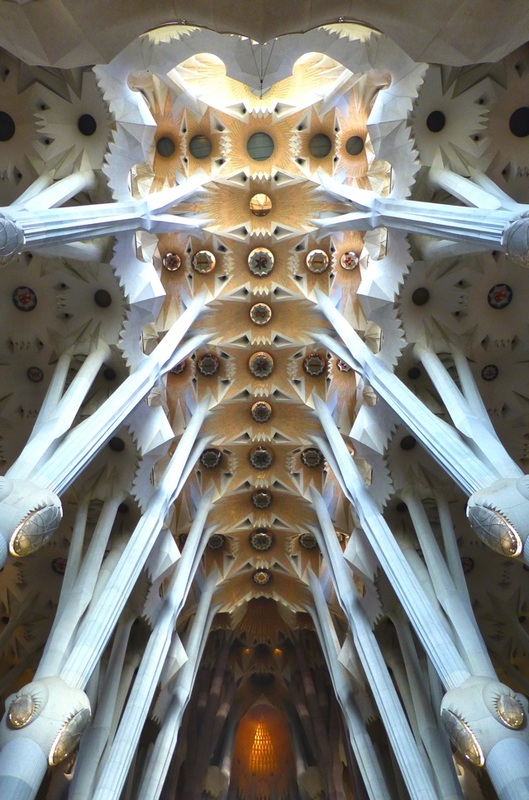 During the final phase of his life he developed a natural geometry of double curved surfaces that he applied to the columns and vaults of the Sagrada Familia in Barcelona, bringing the building to life. Rudolf Steiner (1861-1925) introduced the principle of ‘metamorphosis’ in art and architecture. This enabled him to express development processes that are inherent to nature, culture and the human consciousness in an artistic form. It is by contemplating these forms that awareness of interrelations and an ability to think in processes can be developed. 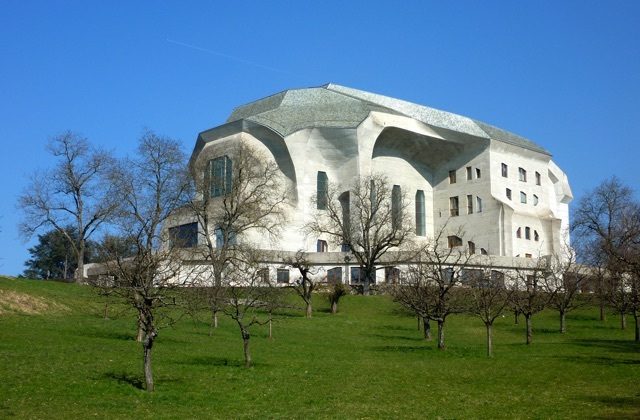 A primary example is his Goetheanum, a cultural and spiritual centre to house all of the arts.